Handpicked Green olives marinated with extra virgin olive oil, basil, garlic, coriander, orange peel & red peppers. 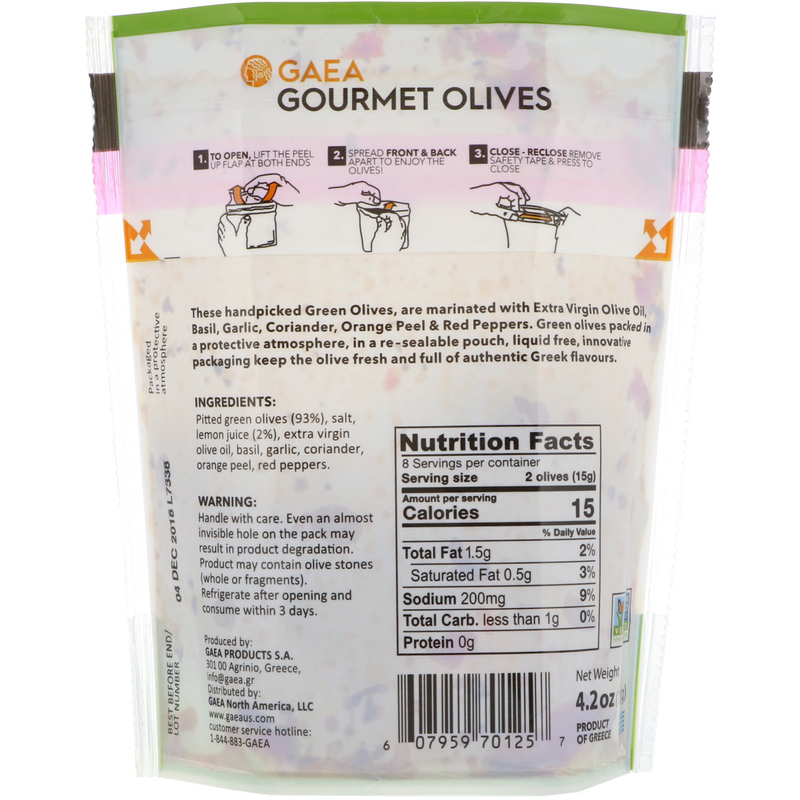 Green olives packed in a protective atmosphere, in a re-sealable pouch, liquid free, innovative packaging keep the olive fresh and full of authentic Greek flavors. 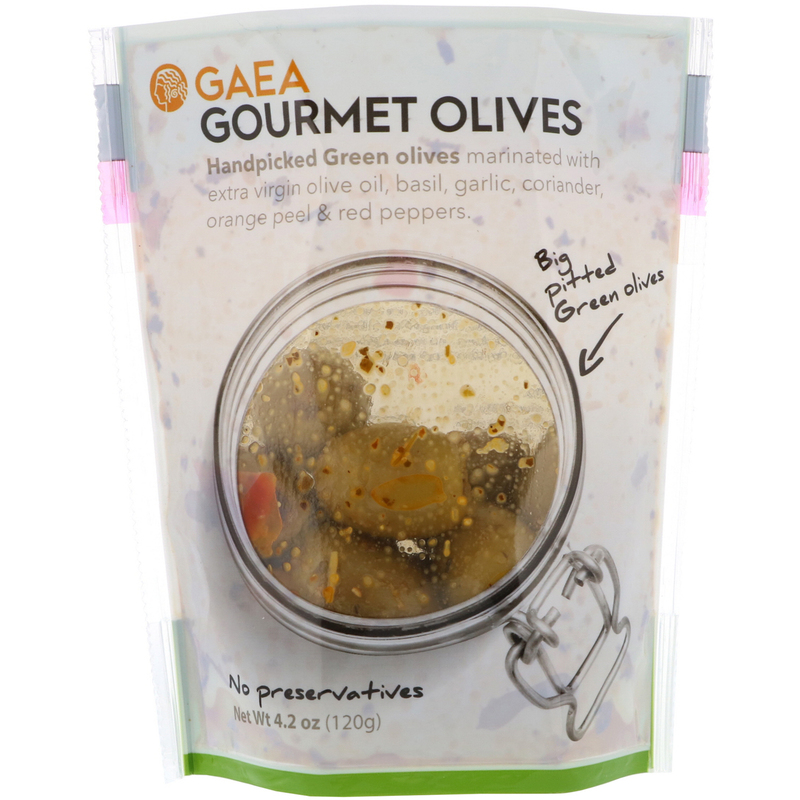 Pitted green olives (93%), salt, lemon juice (2%), extra virgin olive oil, basil, garlic, coriander, orange peel, red peppers.